Serial tipster Even Blass received a tip himself today, about an Israeli Journal that appears to show the LG G7 (Neo) being presented at some type of event at MWC. This could be the scrapped version of the phone, as the model to be released this summer supposedly has a code name of Judy and a model number of LG710. 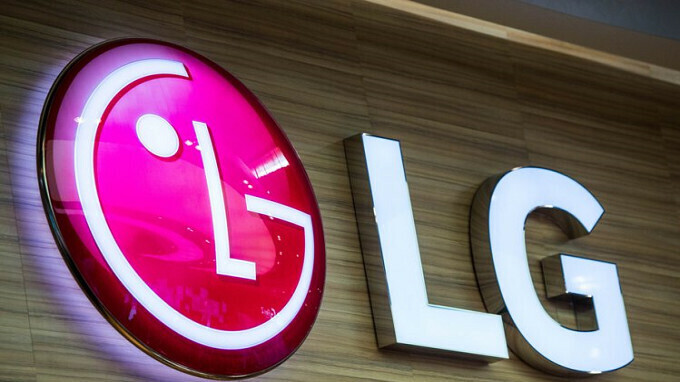 Originally expected to be unveiled in March, LG reportedly dumped the project last month and started from scratch. The screen on the LG G7 (Neo) seems to have an optional notch setting, measures 6-inches and allegedly has a resolution of 1440 x 3120 for a PPI north of 900. The aspect ratio works out to 19.5:9. UPDATE: According to a tweet sent today from Evan Blass, the Neo is indeed LG's next flagship model and all of the specs that we listed belong to this handset, except for the OLED panel instead of MLCD. Blass says that internally, LG employees are complaining that the device copies the Apple iPhone X. Blass notes that the author of the story, first seen in an Israeli Journal, is now receiving an "icy reaction" from LG reps, which would make sense if what he leaked was LG's next flagship model. On back you will find a pair of 16MP cameras, one with an f/1.6 aperture, and the other with an f/1.9 aperture. The front-facing wide angle selfie snapper weighs in at 8MP. The Snapdragon 845 mobile platform is said to be under the hood, along with 4GB of RAM and 64GB of native storage. An enhanced version (LG G7+) features 6GB of RAM and 128GB of storage. Keeping the lights on is a 3000mAh battery. The camera is embedded with AI technology, allowing it to identify items photographed. A fingerprint scanner can be seen on back, and the LG G7 (Neo) carries an IP68 certification rating allowing it to be submerged in up to almost 5-feet of water, for as long as 30-minutes, and emerge unscathed. According to Blass, at the same event where the LG G7 (Neo) was displayed, LG also revealed the LG Q7, LG V35 and a new smartwatch. Whattttt...LG, tsk tsk. The V30 has an absolutely beautiful design. This thing is just an eyesore. Glad they scrapped it. Give us the V30 with smaller front bezels, rather than going the route of the notch. Notch+ bottom bezel just looks weird. Thank God they're not going through with this notched-screen. I think that crisis of identity is why they probably scrapped it. No one is buying the iPhone X because of its notch. Anyone buying the iPhone X is basically doing it because they have no other choice in the Apple ecosystem for a flagship. "An optional notch?" Yeah, good thing they scrapped it. Scrapping this was the right move LG. Take your time and blow us away with the G7. Another unibrowed failed design lmao. A resolution of 3120x1440 on a 6" device doesn't have a PPI anywhere near 900. The XZ Premium has a smaller screen & higher resolution & its PPI is barely over 800. The only way a notch would be acceptable (to me) is if it only had the time signal strength & notifications. It wouldn't count toward screen size and no apps/home pages extended into the horn section. That way the time and signal strength could always be visible. Kind of like the secondary display from the V10/V20 but just for the things which I mentioned before. i see nothing of those phone looking like Essential. Except the chin, it's expensive and harder to get rid of it, so i can understand they went with a much easier solution. Essential is only a more flawed Mi Mix. This would have been a spectacular failure...looks like a preview of what every no name chinese manufacturer will churn out this year. The old CEO deserves to lose his job for allowing this to get that far into development. POST UPDATE: *spits out drink* LG. You cant be serious. hahhahaa. Can we all just thank this new CEO for not going the Asus and Huawei route? So glad he came to his senses before this thing was released. "So glad he came to his senses before this thing was released." Because he realized he would've been fired after the massive failure this G7 Neo would have been? And then the update: I hope this one turns out to be wrong. Smh. The aspect ratio is correct but the PPI is “only” 573....... PA, do your math correctly. I'm glad this was scrapped. The OEMs who copy the notch, I wish nothing but failure to them.